1. 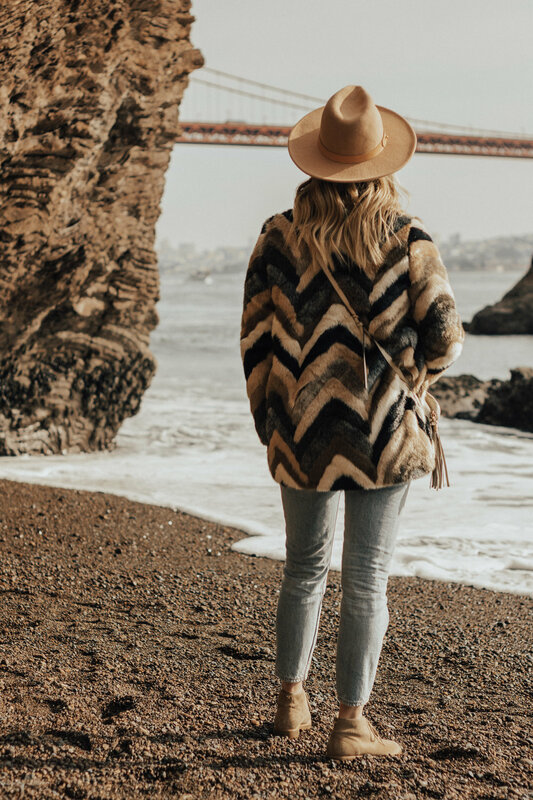 Marin Headlands: There are multiple spots within the Marin Headlands to get insta-worthy shots. A few of my faves include the very first spot you come up on called Battery Spencer (where you are literally on top of the bridge). Another great spot is further up the windy road called Hawk Hill and then if you're really feeling adventurous there's about a mile hike down to Kirby Cove (which is where I took these photos!). There's sometimes a swing here but is often cut down by locals to try and keep the tourists out haha. I haven't been lucky enough to catch the swing! But a good way to check if it's up is to type in "Kirby Cove" under location in Instagram to see most recent photos there. Regardless if the swing is up or not, it's still a pretty epic view of Goldie. 2. Baker Beach: Located on the edge of The Presidio, Baker Beach is definitely one of my favorite views of the GG Bridge. But beware it is also called Naked Beach as some locals like to strip down. If you're feeling adventurous, you can also take a Silent Disco yoga class here! I've done it and it's definitely one of my top SF experiences. 4. 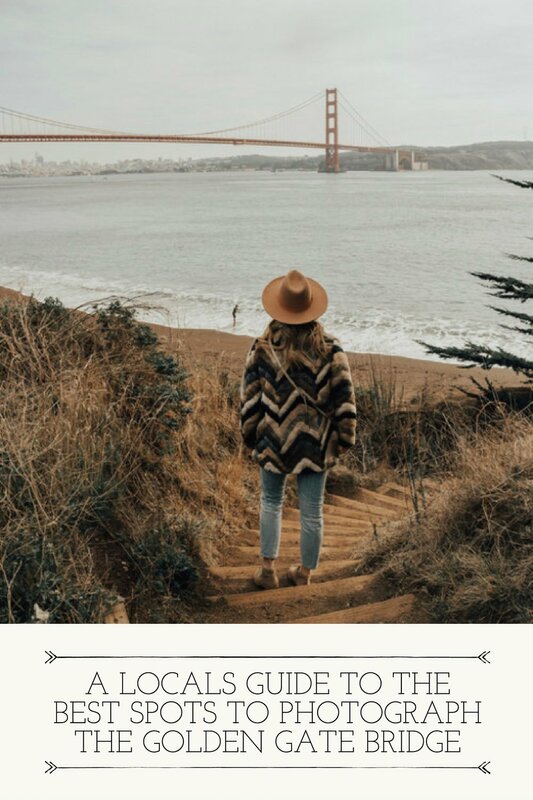 Fort Point: is located right before you cross the Golden Gate bridge! Great place to get some up close shots. 5. Fort Baker: Located on the opposite side for Fort Point is Fort Baker. Another great vantage point below the Golden Gate. 6. Lands End: is home to a great hiking trail along the edge of the coast. There's so many great photo opp moments along the way but my most favorite is at the Lands End Labyrinth (which is another great insta-worthy shot in itself as well). 7. The Presidio: The presidio is huge but my most favorite spot to grab a photo is called the Golden Gate Bridge overlook. Convenient to remember right?! ;) It's where I took the photos from this blog post. 8. Twin Peaks: If you're willing to take a little bit of a drive, I recommend heading to Twin Peaks for a panoramic view of San Francisco. It's truly a sight to see! And bonus point: you get to see that "other SF bridge" aka the Bay Bridge as well! Be sure to tag me if you go to any of these spots! Can't wait to see your pictures :) I'll never stop being amazed by seeing the Golden Gate everyday!